I went to the Gillian Welch concert last night. She’s one of my favorite singer-songwriters. It was a nice alternative to our typical netflix nights. It’s easy for me to say no. No, I’m tired. No, I have work to do. No, we can’t have people over because the house isn’t cleaned up. I’ve been wanting to invite our neighbors over for dinner for quite some time but have always found an excuse. It seems we’re in the middle of a big house project all the time and I just want everything to be perfect. But life’s not perfect. Looking back I won’t remember all these superficial details – I’ll just remember the good time we had sharing a meal with friends. 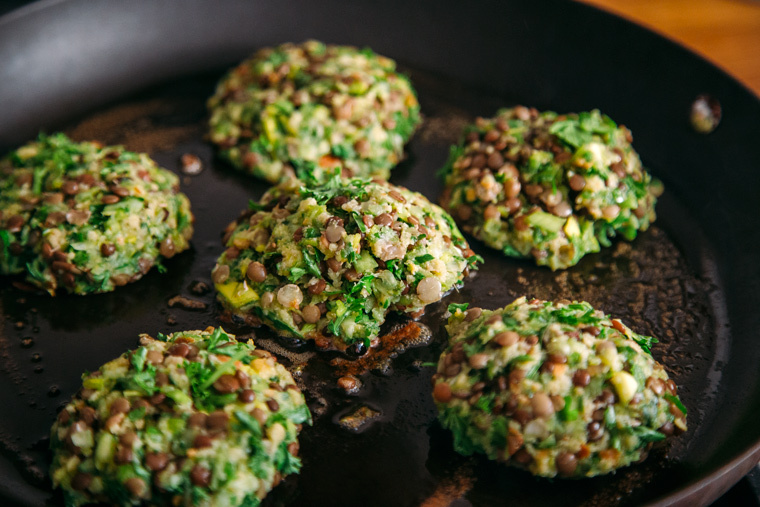 It doesn’t even have to be a fancy meal, these scrumptious fritters will do just fine. Cook the lentils. 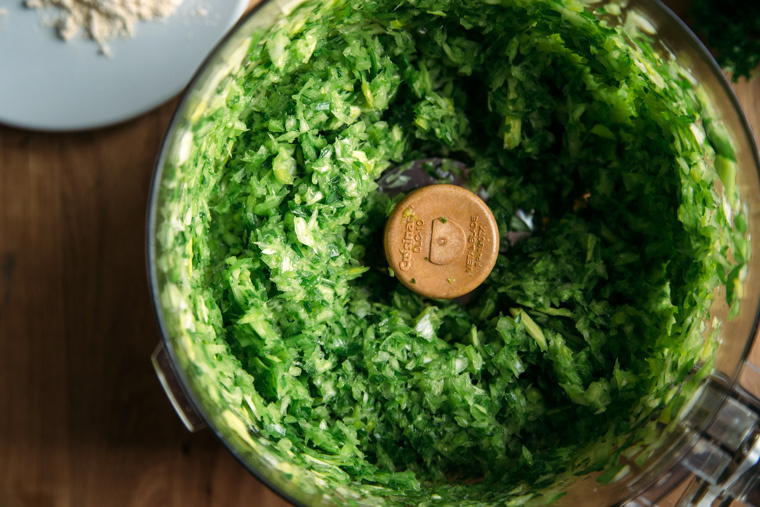 Shave the leeks by pulsing them in your food processor a few times. 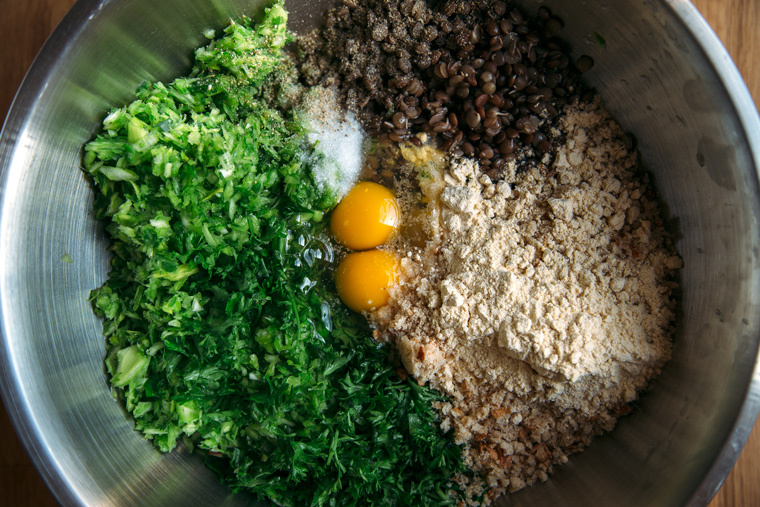 Place all the ingredients in large mixing bowl and stir to combine. After the fritters are crispy and light brown, flip then over and cook about 2 to 3 minutes per side. Cook the lentils. 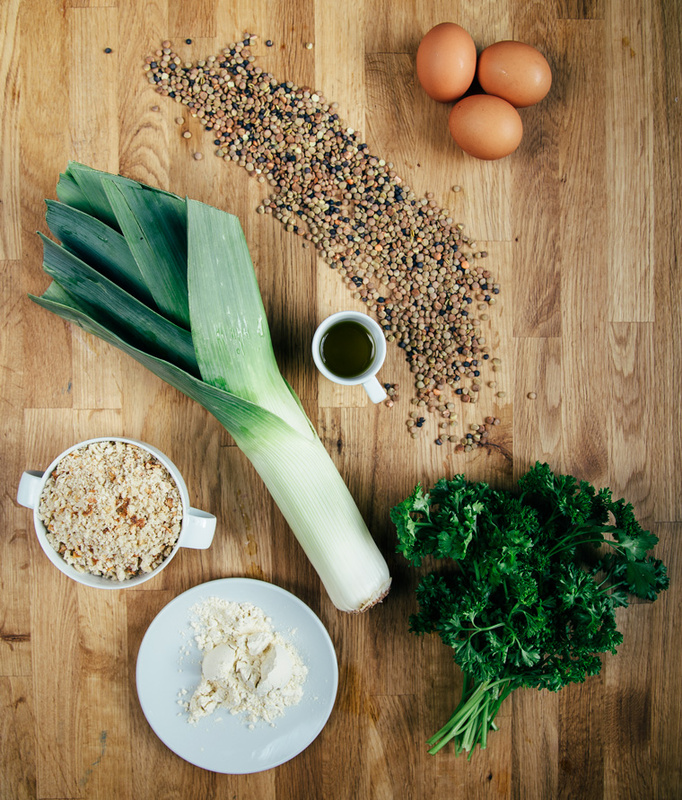 Shave the leeks by pulsing them in your food processor a few times, then place in large mixing bowl with the rest of the fritter ingredients. Stir together to combine. Scoop spoonfuls of mixture onto a hot oiled pan. After the fritters are crispy and light brown, flip then over to the other side. Let cook about 2 to 3 minutes per side. 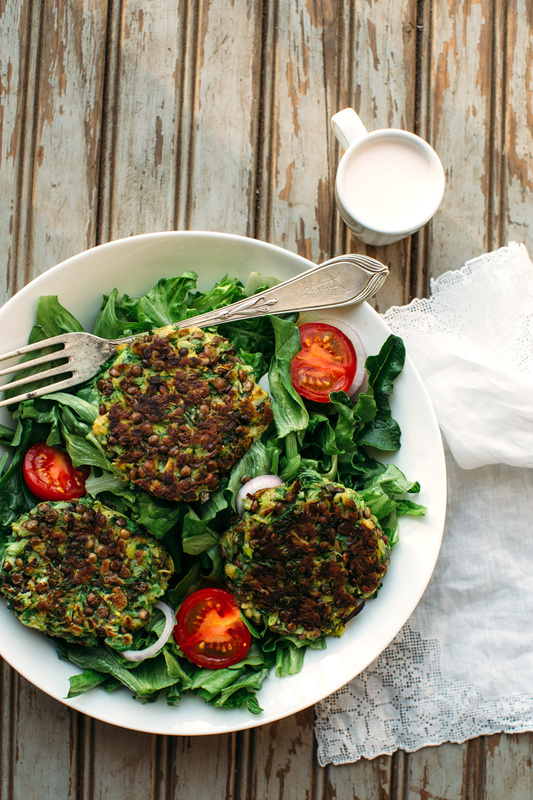 For more fritters/vegetable cakes check out this post. You’re so right, life isn’t perfect and learning how to enjoy it in the middle of it all is the best we can do. Thanks for the reminder! 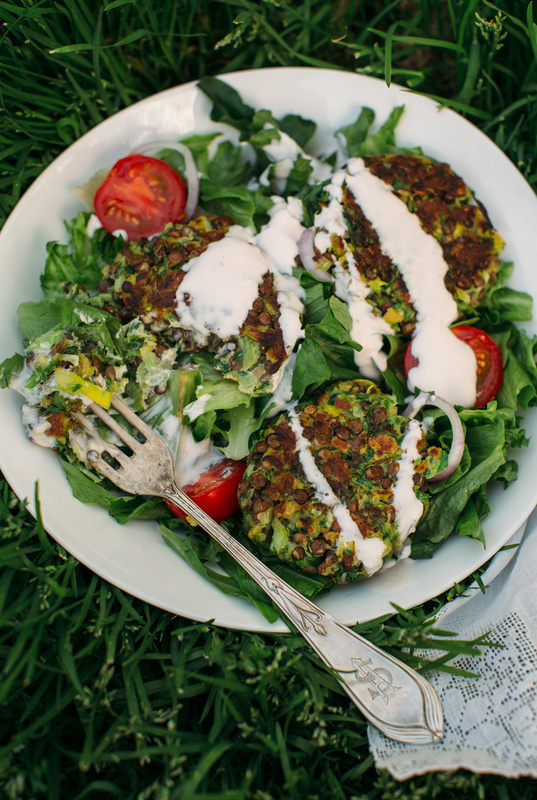 And these fritters are right up my alley, they look so good! 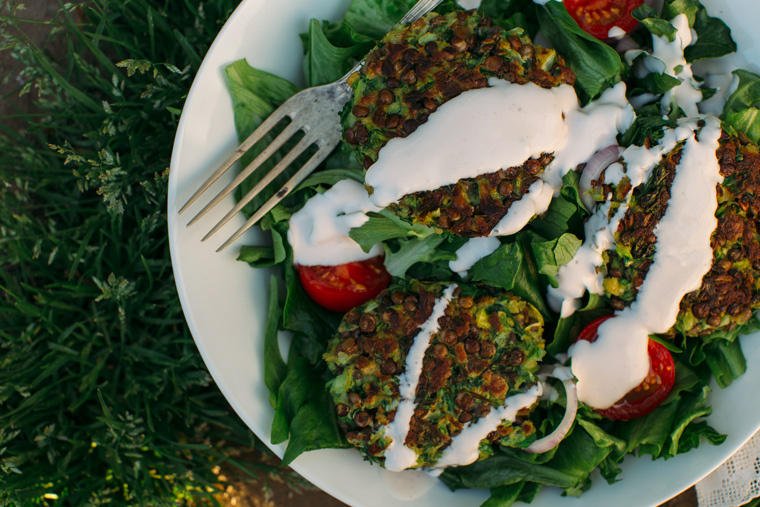 I been looking for an easy fritter recipe like this – love making a few extras and freezing them so I know I have something to help round out last-minute meals. Thanks so much for your comment Katie! Next time I make these I will make a double batch and freeze them – good idea! I hear you, take bits of time now and enjoy life, it only comes at you once. Love the ingredients in this fritter, looks like a great meal. Thank you Cheri and yes – it’s important to sit back every once in a while and just enjoy life (without thinking of that to-do list)! I’m sure the neighbours will remember the great food more than the house! They look fab! Thank you Andrea! Isn’t Gillian Welch the best?! I’m so happy you like her too!